It’s time to watch the world compete on the Olympic stage. I don’t know about you, but I am excited! I am a certified Olympic nut, and, as a former snowboard instructor, the winter Olympics may be my very favorite. It is likely the only thing that will be on my TV for the entire 16 days! Even though we don’t get a lot of snow and cold weather here in Fort Worth, many kids in Texas are able to partake in winter sports. Sometimes this is at a local indoor skating rink, and sometimes we travel to the ski slopes. However, the wintery fun can bring injuries along with it. In fact, research shows that 3.8 million people in the U.S. experienced an injury while participating in a winter sport in 2013. The most common injuries include concussions, ACL tears, ankle and wrist sprains, strains, shoulder and elbow dislocations and broken bones. Wear a helmet! Look for a helmet with a hard outer shell, a shock absorbing layer, and fits appropriately without impacting your vision. Inspect your skis or snowboard. Make sure that the edges have been properly sharpened and there is an appropriate wax on the underside. Make sure you have well fitted ski or snowboard boots. They should be snug. If you aren’t sure, be sure to ask a pro at the rental shop or ski store. Get fitted for the proper ice skates if you are playing hockey or going ice skating. Don’t forget about other safety gear such as goggles and pads! Choose base layers, such as long sleeve shirts and long underwear, that are loose fitting, breathable, and made of synthetic material. This will allow them to wick sweat away from your skin, helping you to stay warm and dry. Long wool socks are the best for skiing and snowboarding, but don’t double up your socks. This actually makes the socks rub together and tends to give you uncomfortable blisters on your feet. Don’t forget your sunscreen! You can get a sunburn even on the slopes. It’s cold outside! Get moving before you skate or ski! Get your heart rate up by doing jumping jacks or jogging in place. Stretch your arms and legs by doing arm circles, upper body twists, squats, and lunges. Start with several slow laps around the skating rink or an easier ski slope to get your legs under you before you get going. Take a lesson, or several, from a qualified instructor. They can teach you the rules of the rink or slopes, as well as how to fall correctly. Be sure to learn the basics. It is important that you can skate safely before you can play hockey. You also have to know how to safely turn and get on and off a chair lift before you can head up the hill on your skis or snowboard. If you are cold or exhausted, take a break! Let your body rest and then get back to the fun. Remember that you don’t have to follow the crowd. If everyone else is hitting a double black diamond, you can always take a hot cocoa break if you don’t feel up to it! So let the Winter Olympics inspire you to have some fun this year, but stay safe while you are out there! 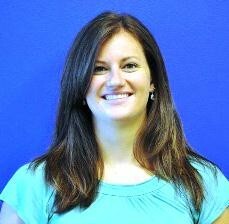 Jacky Arrow, PT, DPT, SCS, is a physical therapist for the SPORTS program at Cook Children's. The Cook Children's Sports Performance Orthopedic Rehab Team Specialists (SPORTS) program offers care to children and adolescents with orthopedic or sports-related injuries. If your child gets injured and needs medical care, it's very important to choose a program that has experience working with the growing dynamics of your child's body to prevent further injury. Click here to learn more about the program or call 866-205-7270 to make an appointment.